Buyers will be happy to know that they shouldn’t ever have to pay a Realtor to be represented. The fee your agent receives is actually worked into the 6.0% commission that was signed initially when the property was listed. 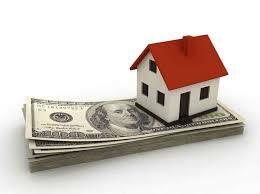 Usually when a real estate deal closes, escrow will pay out the commissions to the broker and if it’s stipulated on the listing agreement that the total commission is 6.0% and that the listing agent get 3.0% and the buyers agent gets 3.0% then that’s what and how it will be paid. Sometimes a buyer might be charged a small transaction or processing fee by the agent. This fee is not required nor is it a fee that is customary among agents. Junk fees like this are usually a way to offset a fee the buyers agent is incurring for an assistant to complete paperwork or possibly an insurance cost. Fees like these range in price from $75.00 to over $500.00 and will usually be mentioned in the California Residential Purchase Agreement under other terms. Again, this is not a fee that is normal so be sure to ask your buyers agent if they charge any fees to have you represent them. One more thing to consider is that Real Estate Commission is Negotiable, although the normal fee is 6.0% this is not a fee that is set in stone by anyone and you can ask to pay less. We’ve seen real estate listing agreement as low as 3.5% and as high as 8.0%, there are and can be many varying factors so please do your homework when listing your home. Keep in mind that if you negotiate down your commission amount from the 6.0% you also might be unbeknownst to you negotiating down the service and marketing you’ll receive. If you want full service and the prompt attention your home and transaction deserves then don’t cheat yourself in paying less than whats fair. For more information on realtor commission or if you’re interested in selling your home, please contact us or leave a comment below. We’d appreciate the opportunity to assist you in your real estate endeavors!